Darren is Style Director at Crow Street Collective. Having worked as a hairstylist for over 12 years he recently opened CSC in partnership with Mark Talbot. As well as being an educator for Wella, he is also a Master Colour Expert (MCE) and a regular guest speaker for Sebastian seminars. 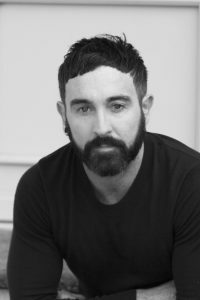 Darren has received many accolades for his work, including: an Irish All Star silver medal (European Hair Championships); six-times winner of the Irish Photographic Awards; Image magazine Style Award winner; Silver medal winner (Wella Trend Vision); to name but a few. Darren’s client list is as long as it is varied, and has included many high profile personalities, including Phillip Treacy, the late Isabella Blow, Cara Delevingne and Alexa Chung. His work has also featured in many magazines, newspapers and TV shows (ID, Dazed & Confused, Love, Irish Tatler, Irish Country, Image, U magazine, Life Magazine, Weekend magazine, XPOSÉ) and has taken Darren all over the world including Paris, London, Milan, and the USA. FYI Darren is a champion amateur Latin American ballroom dancer.